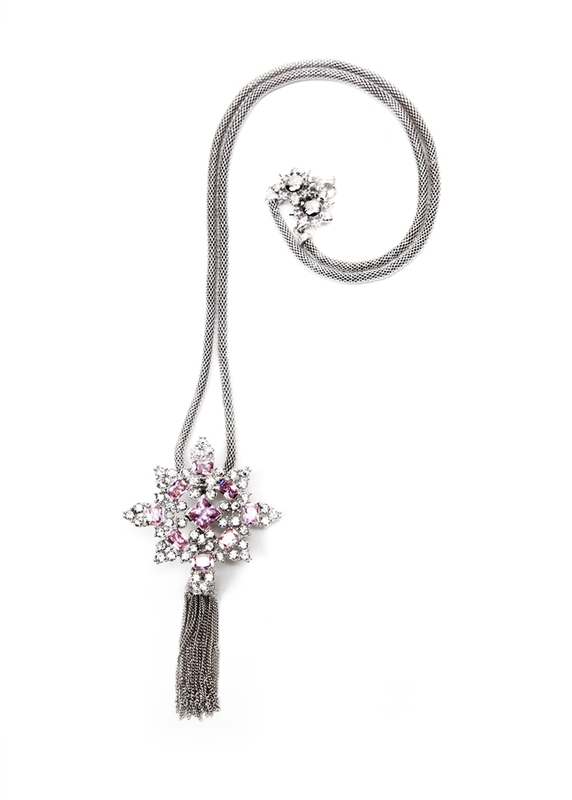 Pink and Clear crystal are set into our SV Couture starburst tassel necklace. Tassel and chain are removable. 32" necklace.